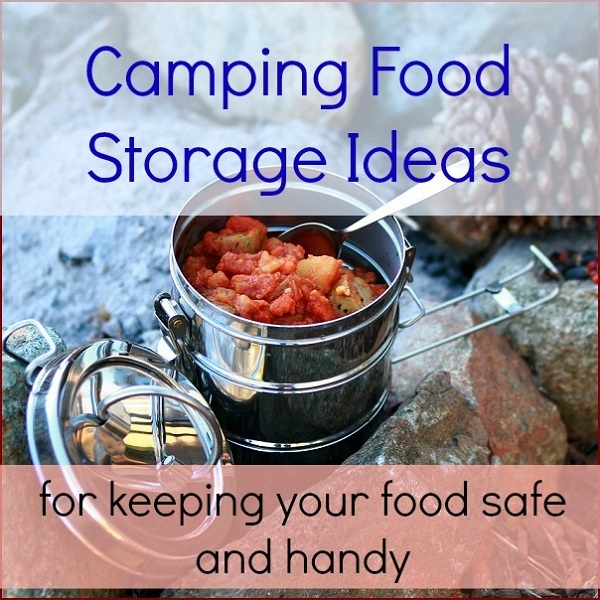 Camping Food Storage Ideas and Containers for Food Preservation! 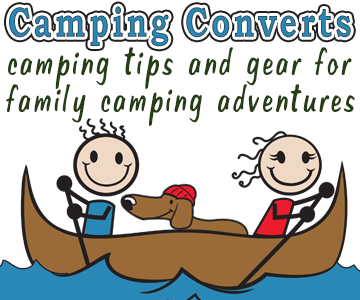 You are here: Home / Tips & Tricks / Camping Food Storage Ideas and Containers! Camping Food Storage Ideas and Containers! 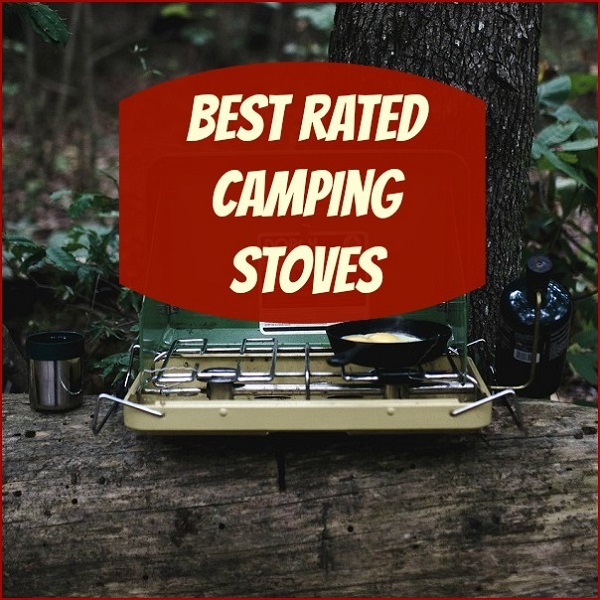 The camping food storage ideas in this article offer very helpful suggestions on how to safely store your food during your camping trip. One of the main concerns for any camping trip is having enough food for your stay. Another concern is being able to store that food properly to protect your family’s health while still enjoying some of those foods you love. The type and size of food storage you will need for camping is going to depend both on the type of camping you are planning on doing and the duration of your stay. Choosing the best food storage to meet each camping experience and need can be the difference between and enjoyable camping trip and cutting your trip short. 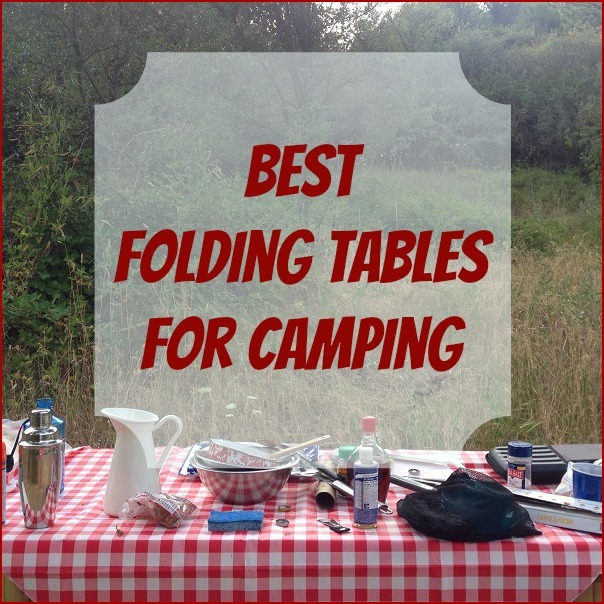 Below are helpful camping food storage ideas for the different types of camping. When car camping weight is less of concern and it is easier to bring a wide variety of food when camping by car. Storage tubs with lids to keep your food dry and safe from animals. 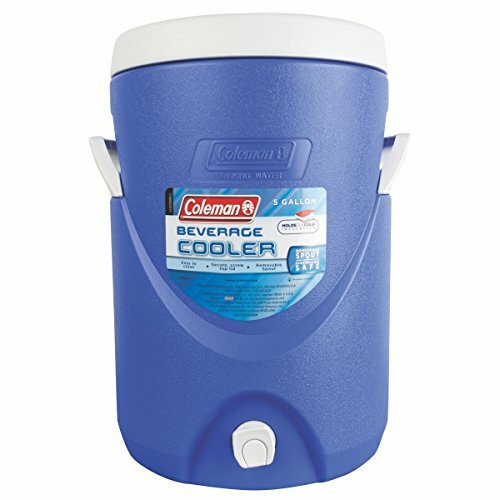 Coleman 5 Gallon Beverage Cooler When it comes to camping coolers you will want one to meet your needs. 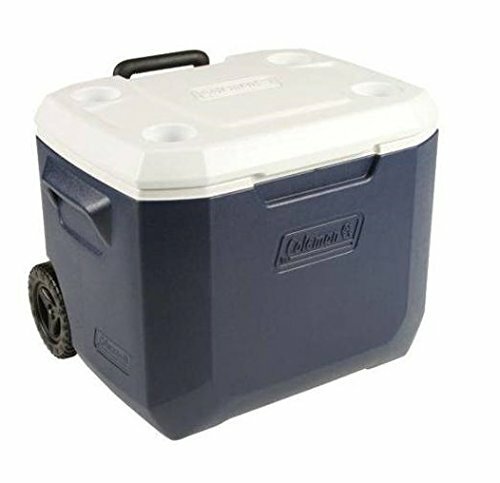 If you are camping alone or with one other person for just overnight or a weekend, then a small cooler will work just fine. 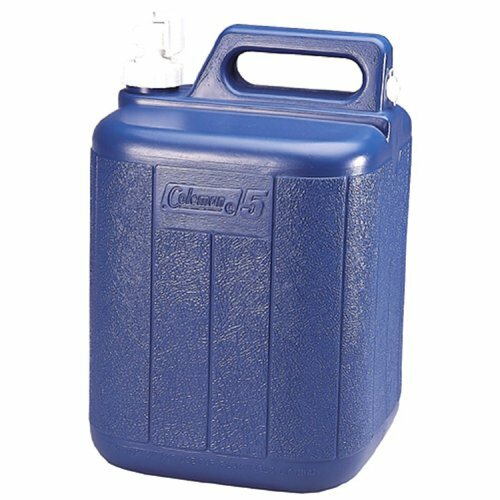 However, if you are family camping then you are going to need a much larger cooler and possibly two. When we camp we always carry two or three coolers depending on how many people are camping with us. In one cooler we keep just cold drinks. The reason for this is because cold drinks get reached for more often. And we don’t want the cooler that is holding our meat, eggs and other food constantly being opened causing the ice to melt faster. We also use coolers with a water spout in the bottom. This makes it easier to drain off the ice melt without having to empty the cooler. 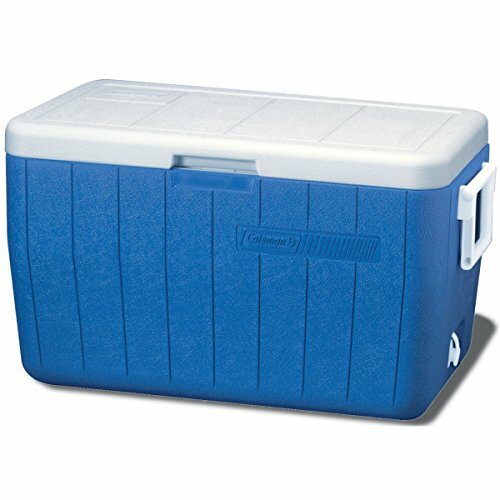 Making sure that cooler has plenty of space for your food and for the ice needed to keep your food cold. Insulated coolers are better than Styrofoam coolers since they are more durable. They can’t be broken as easily as Styrofoam coolers. They also tend to keep wild animals from smelling the scent of meat a bit better than a Styrofoam cooler will. Never leave your cooler in your car. Although a car offers a bit more safety from animals and even dirt, cars tend to heat up quickly and remain hot. This will cause the ice inside even an insulated cooler to melt faster. It is best to place your coolers in a shady spot in your camp even if that means sliding them under the picnic table. You should also try to limit the number of times you open your cooler. 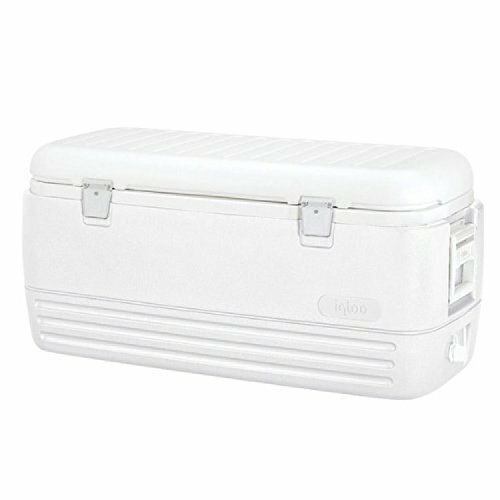 Every time you open a cooler you let the warmer air inside the cooler which means that ice will melt faster and food will spoil quicker. A large storage bin or two with airtight lids are the best food storage containers to hold your dry food when car camping. 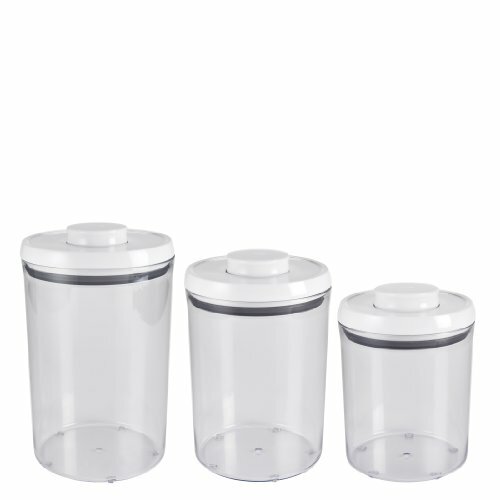 Inside these larger storage bins you should keep sugar, crackers, flour, cereal and other such foods should be kept in airtight canister sets with lids. A good canister set for camping is the OXO Good Grips Canister Set. 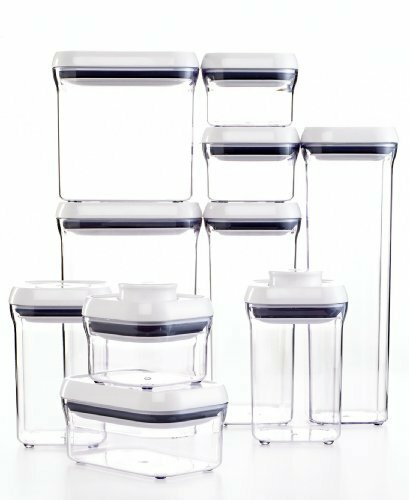 This set contains various sizes and shapes of containers. These should hold most of your dry foods such as sugar, spaghetti noodles, cookies, crackers etc. and keep them free of moisture. 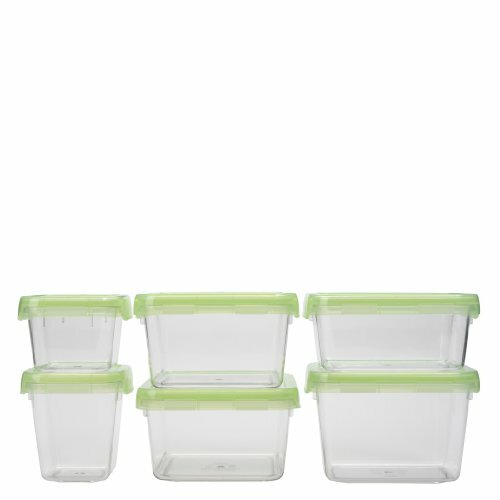 Another set of smaller storage containers that is perfect for holding leftovers is the 3 Piece Dutis Plastic Food Containers. Having the right camping food storage containers will help you to eat well while keeping your family healthy and reducing food waste. 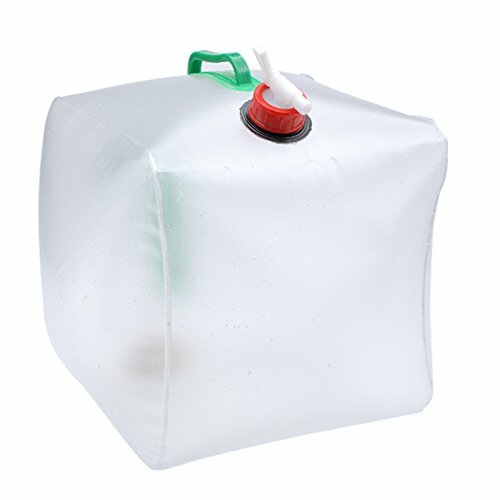 If you are car camping in a primitive campground, you are also going to need one or two large water containers. 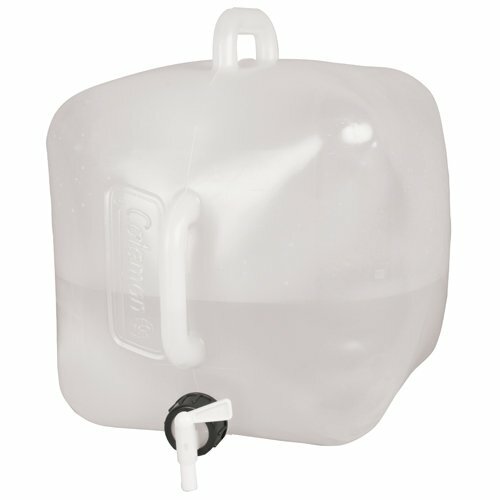 There several handy 5 gallon water containers that you can choose from. These should provide you and your family with fresh water for drinking and washing. If your camping trip consists of hiking into the wildness then traveling light is going to be essential. 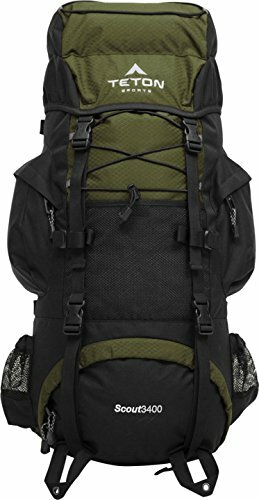 In order to really enjoy those hiking camping trips you are going to need to carry hefty packs and your gear on your back. You simply aren’t going to want to add to the weight you carry by carrying along a grill or camp stove and several cans of foods or bags of potatoes. 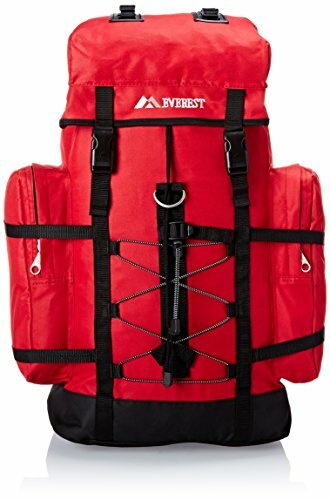 In addition, it will be almost impossible to carry food that needs to be kept cold while hiking those narrow paths and trails. 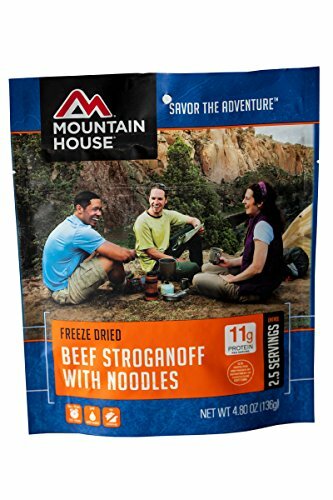 Therefore one of the best food option for hiking campers is dehydrated meals. These foods are lightweight and don’t spoil. 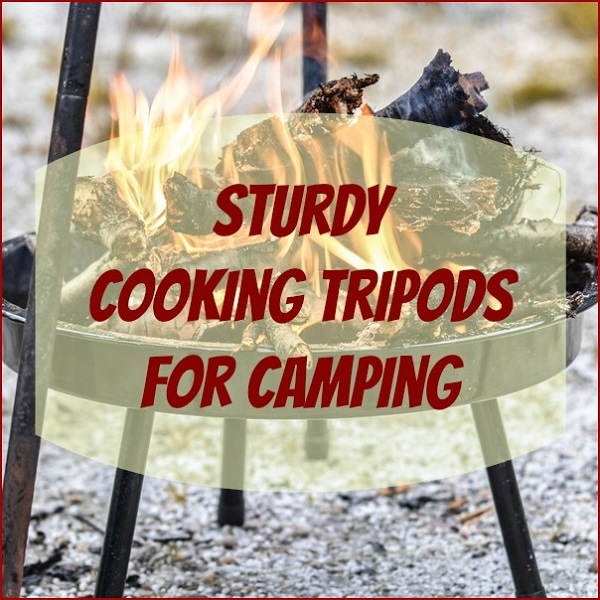 They also can be cooked by just adding water that can easily be heated over an open campfire. So you just store them in your backpack with your other gear. 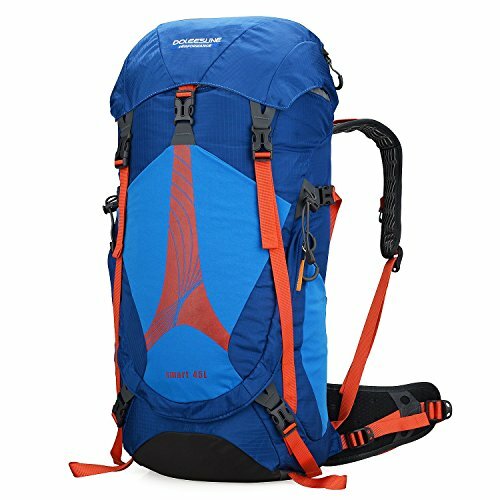 You just have to choose a sturdy backpack that is strong enough to carry all your gear. 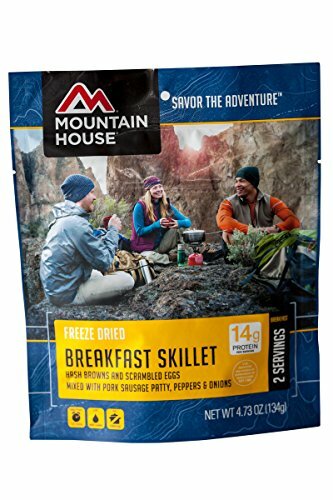 One of the most popular brands of freeze dried foods for camping is the Mountain house brand. 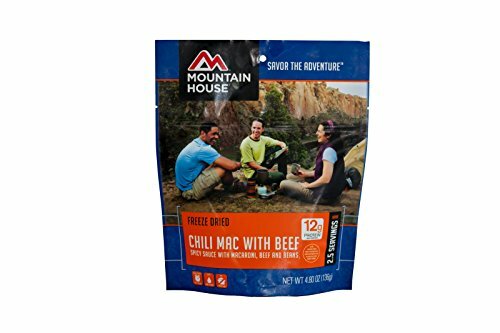 I really like that this brand offers a couple of freeze dried breakfast items and a wide variety of dinner and lunch meals all contained in convenient pouches. All you will need to do is pour water into the pouch and eat from it. This saves you from having to backpack with dishes and cooking pots and pans. Planning your camping menu before your camping trip will help to ensure that you have the proper storage containers you need in order to feed your family during your camping adventure. Keep in mind that the fewer trips you need to make into town for food and other supplies the more opportunity you will have to truly enjoy your camping experience.